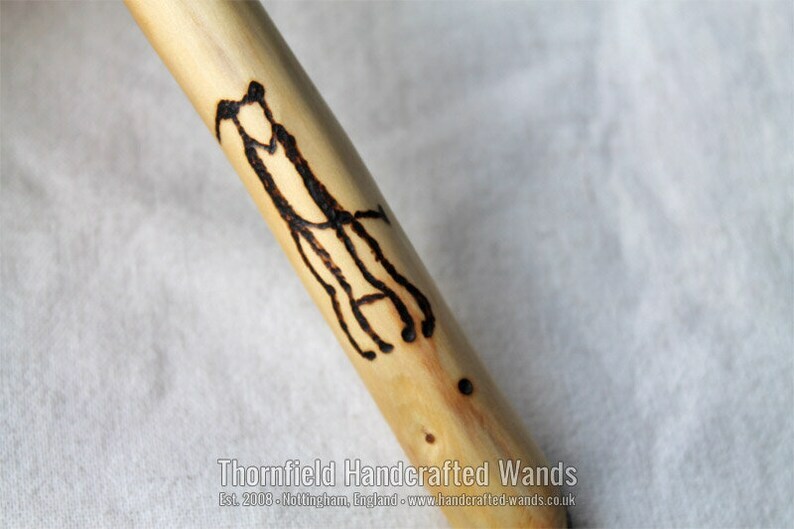 100% solid cypress (Cupressus sempervirens - or, more likely, Cupressus × leylandii) wood wand. The decoration is based on the petroglyph (rock carving) "Brudparet" (bride and groom) at Tanum in Bohuslän, Sweden, a UNESCO World Heritage site. Length: Ca 327 mm or 12 13/16"